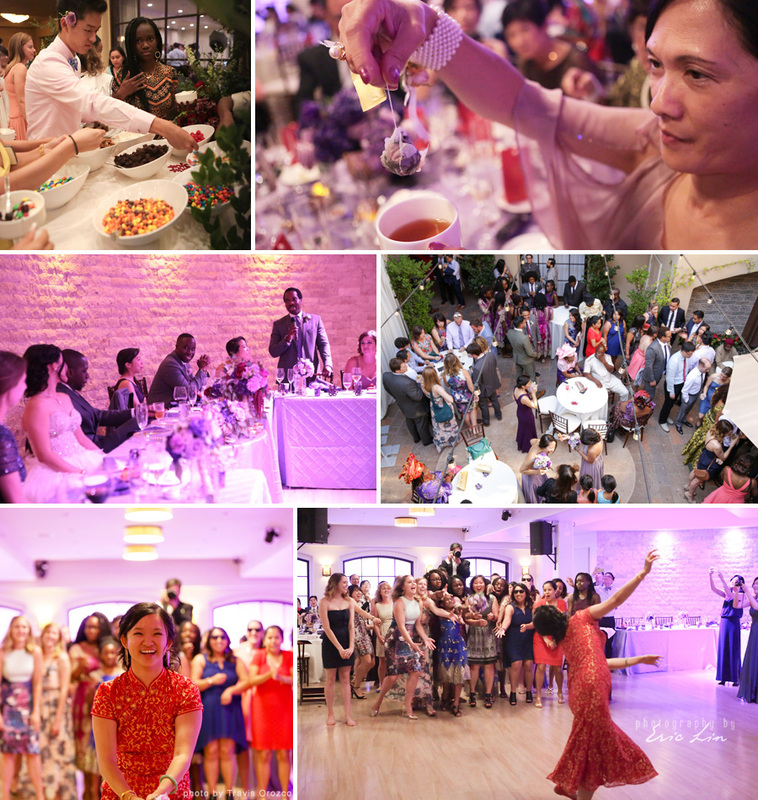 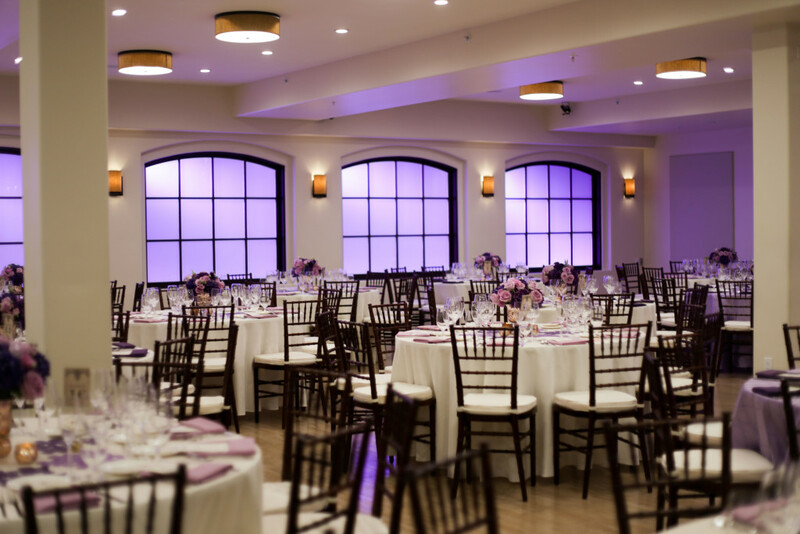 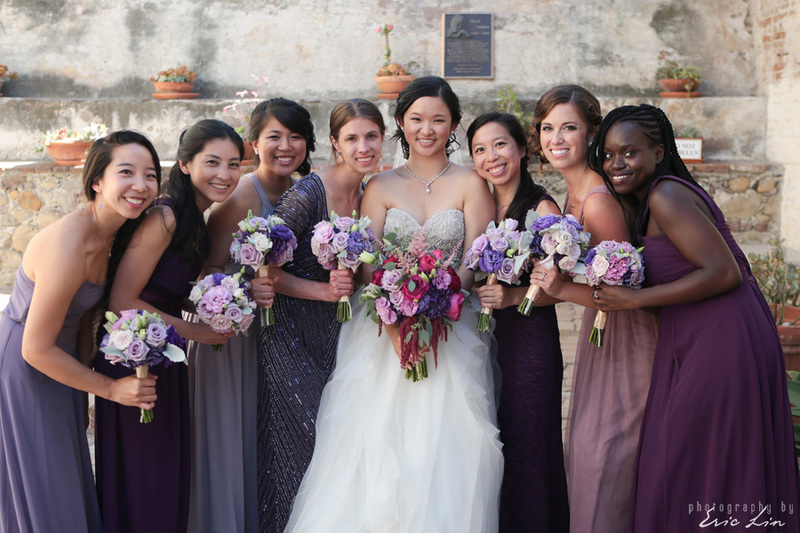 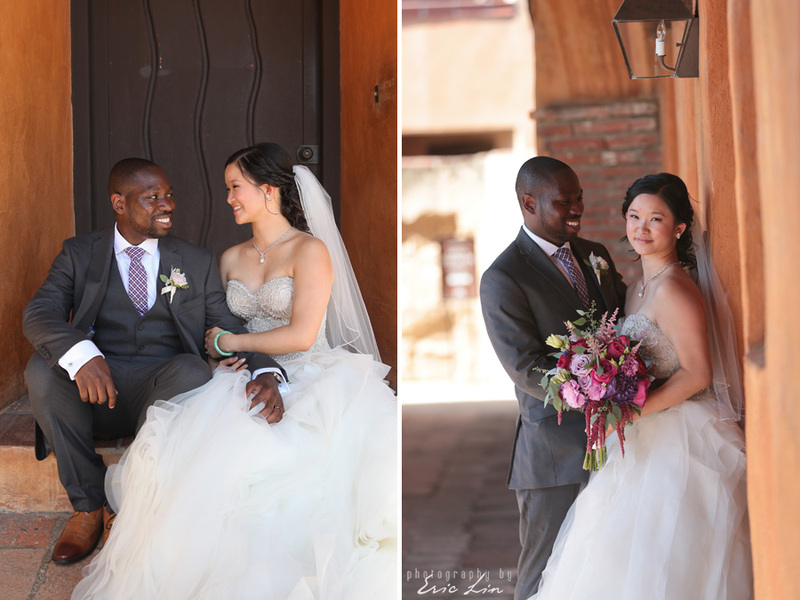 This San Juan Capistrano, CA wedding reception was held at Plaza de Magdalena. 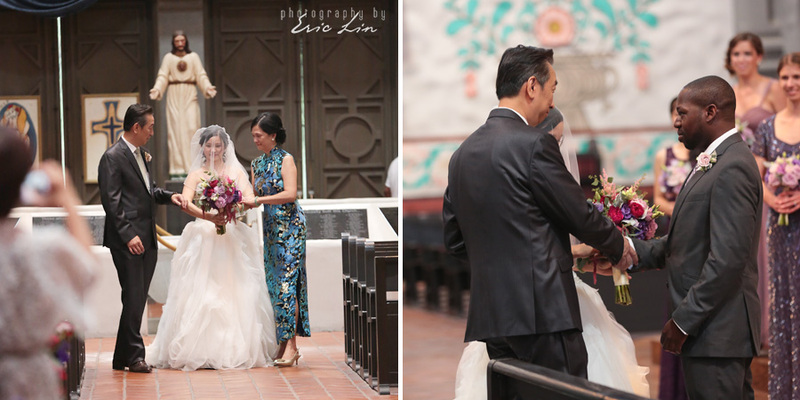 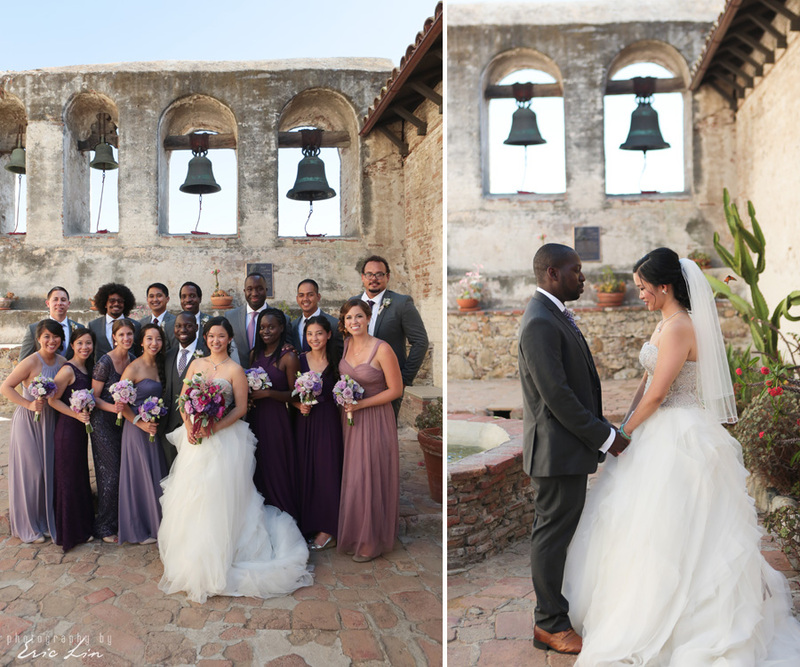 The ceremony was held at the beautiful Mission Basilica San Juan Capistrano. 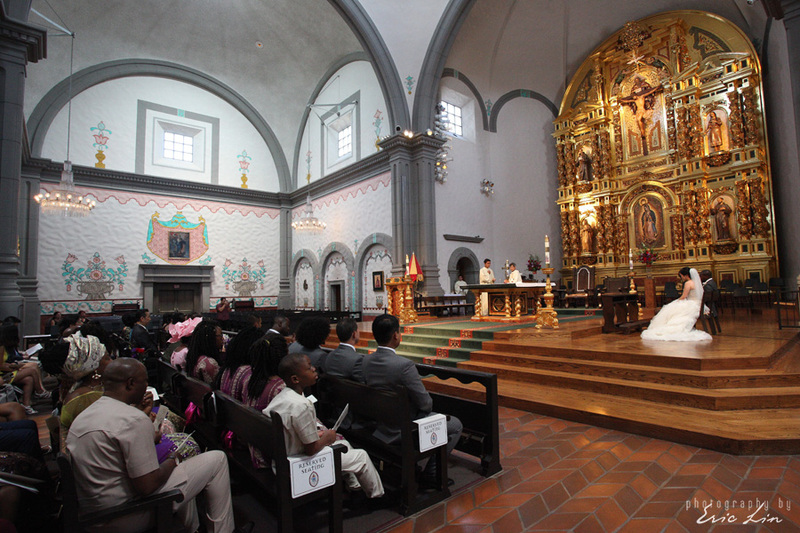 We love weddings at Plaza de Magdalena. 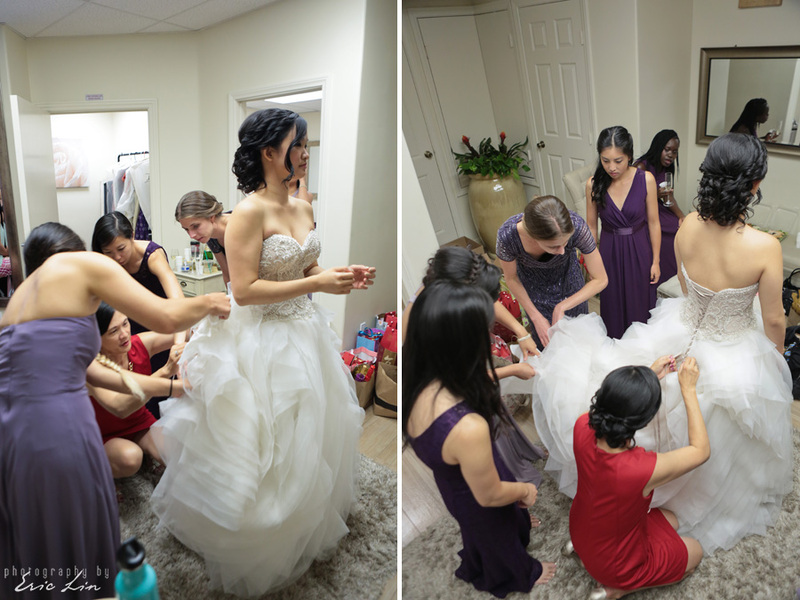 The staff there is so friendly and kind, which makes it one of our favorite venues for weddings. 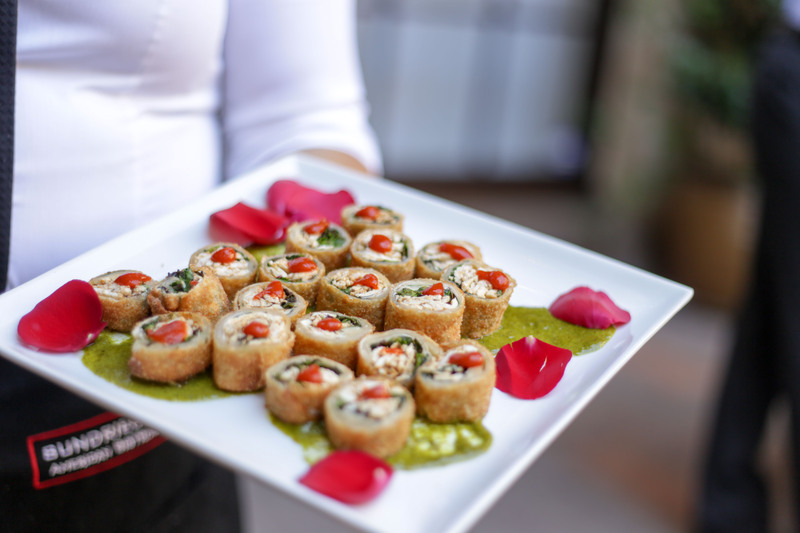 Plus, Sun Dried Tomato Bistro (the in house Catering) food is to die for! 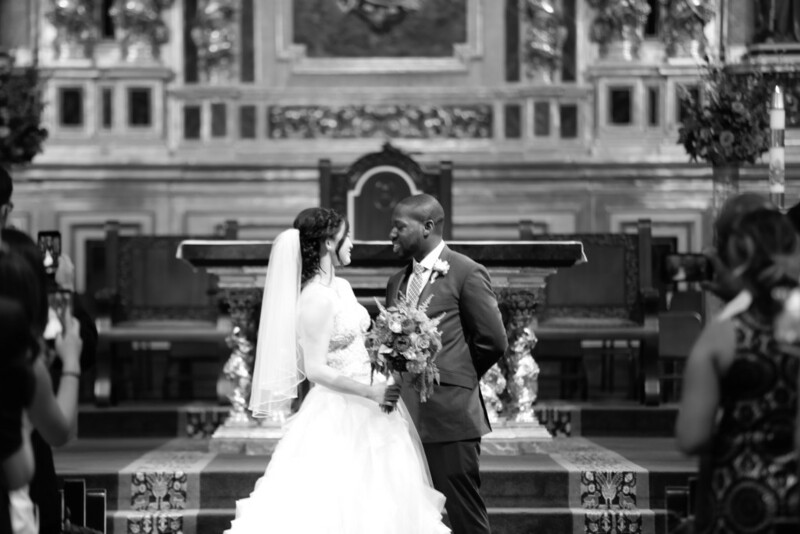 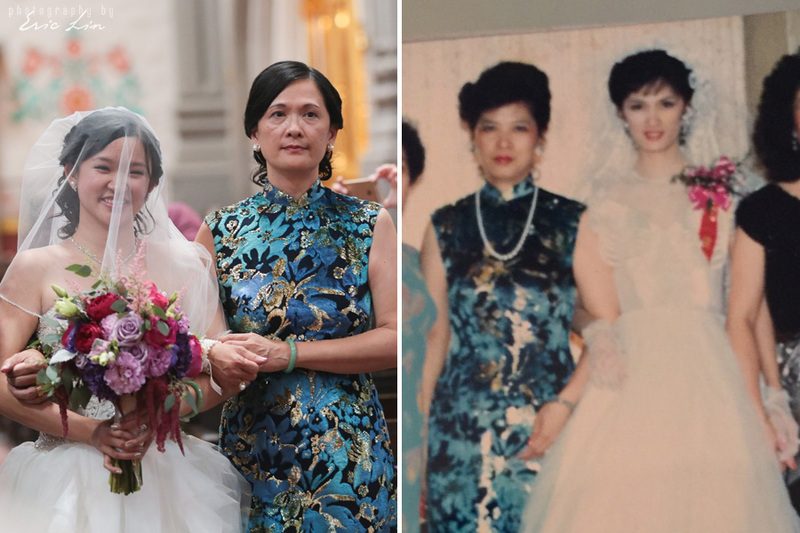 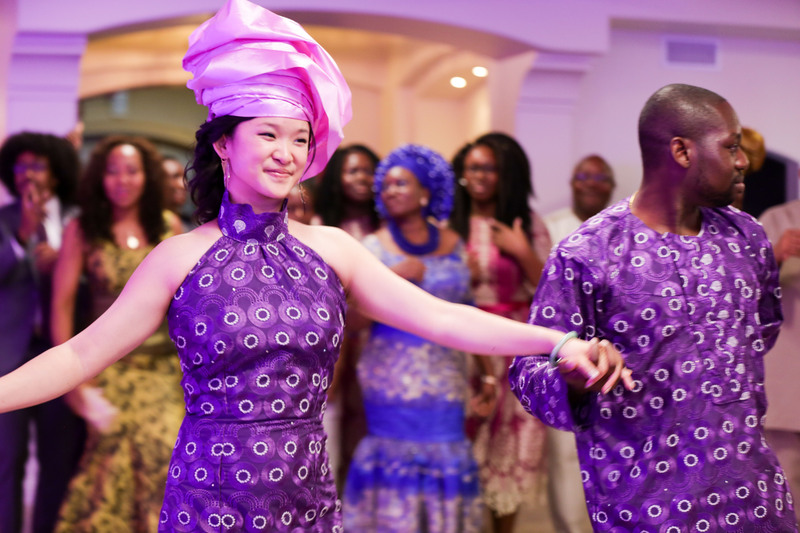 Our favorite part about this wedding was seeing how two totally different culture came together so seamlessly to celebrate the couple’s love for one another. 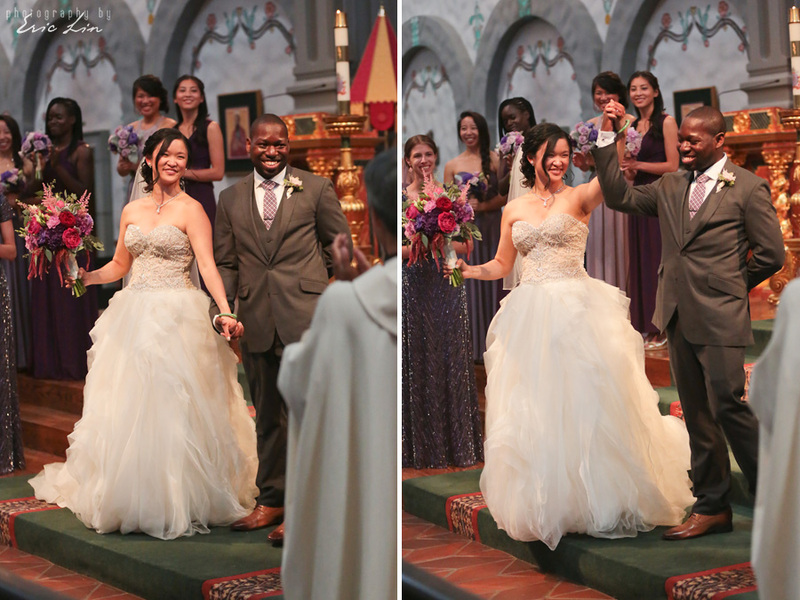 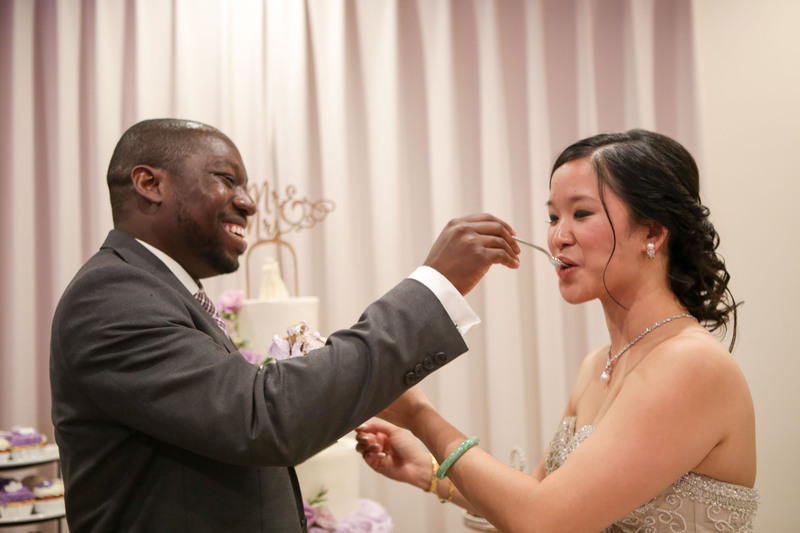 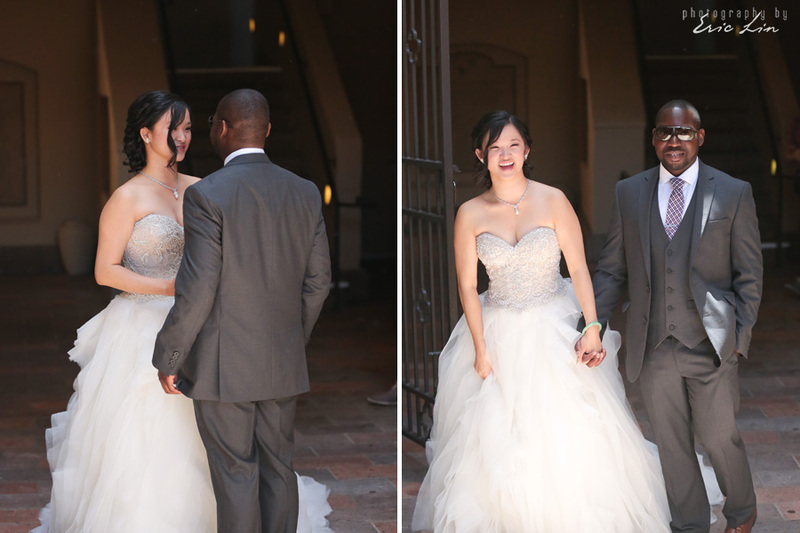 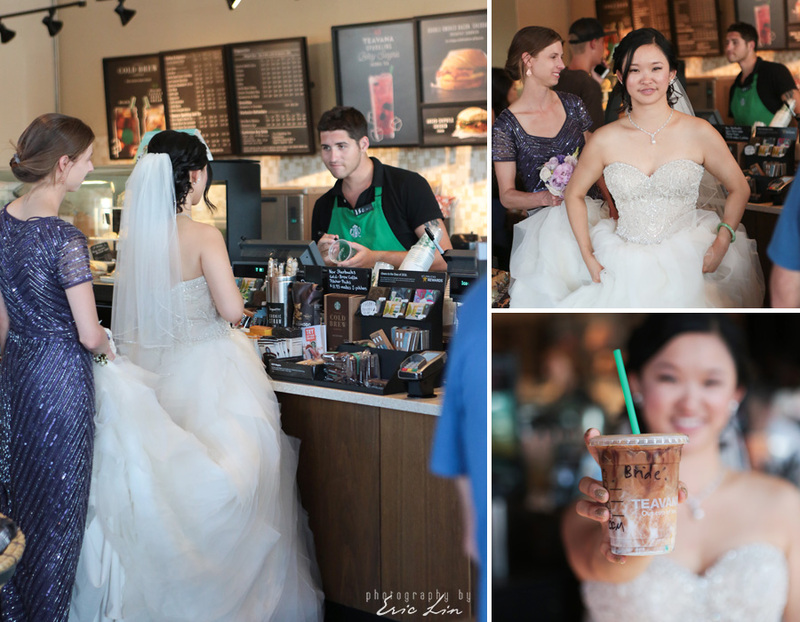 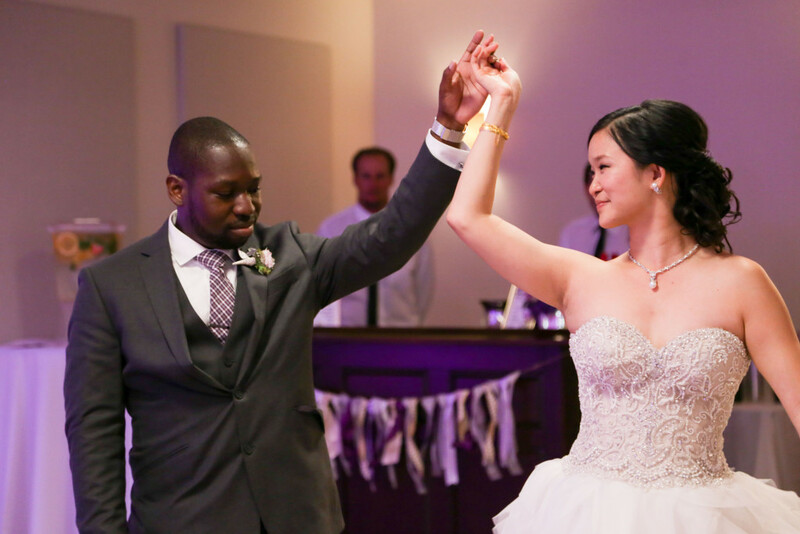 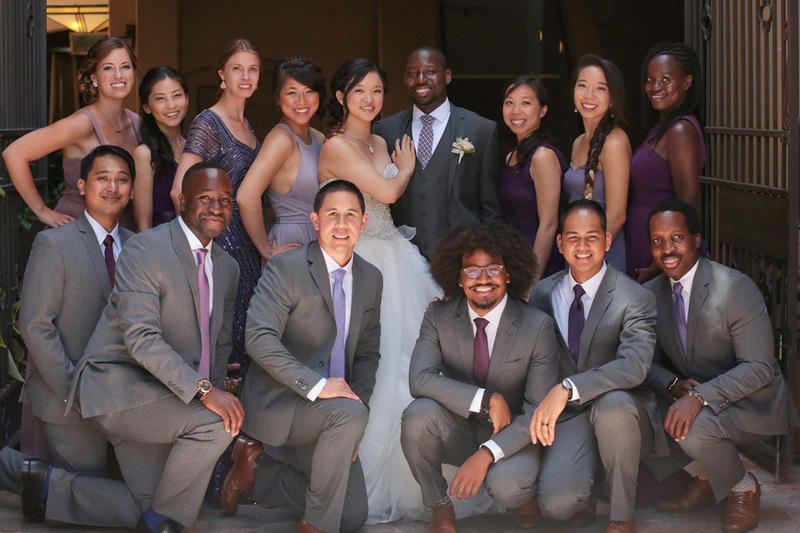 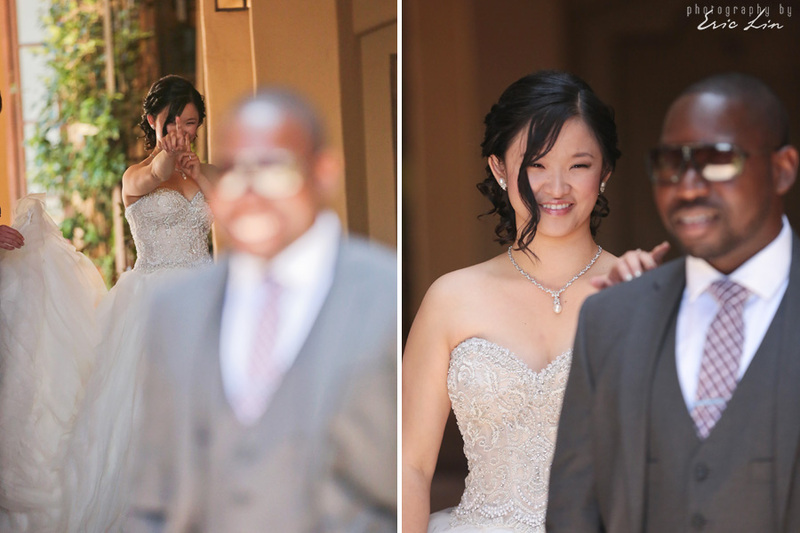 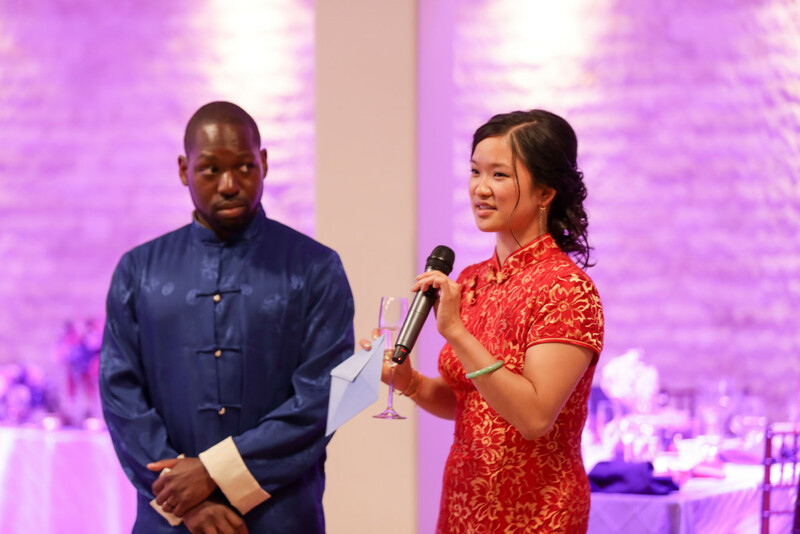 The Groom is Nigerian American, and the Bride Chinese (Taiwanese) American. 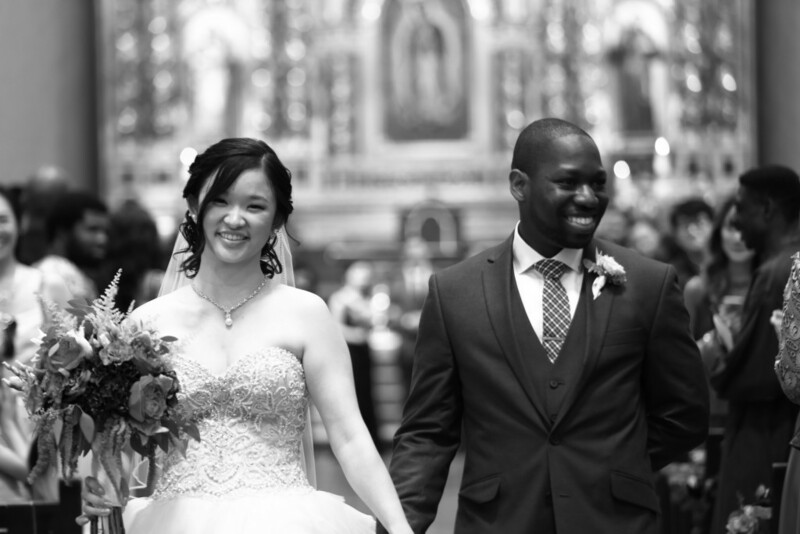 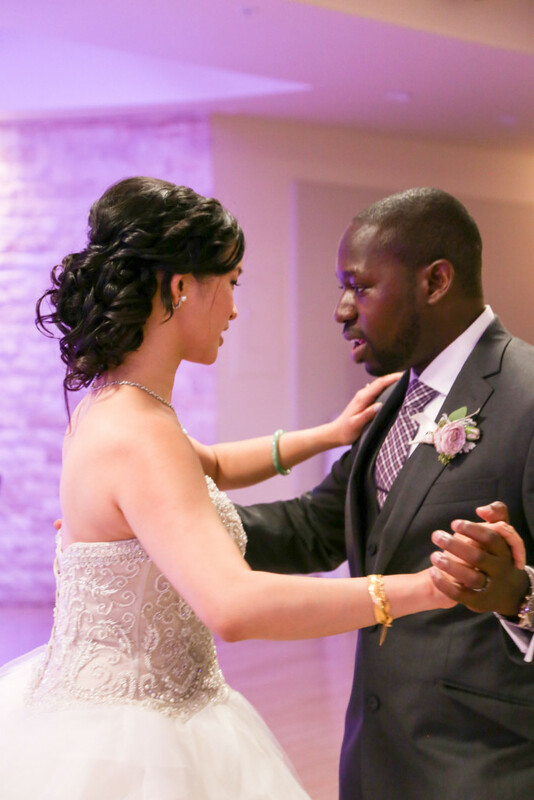 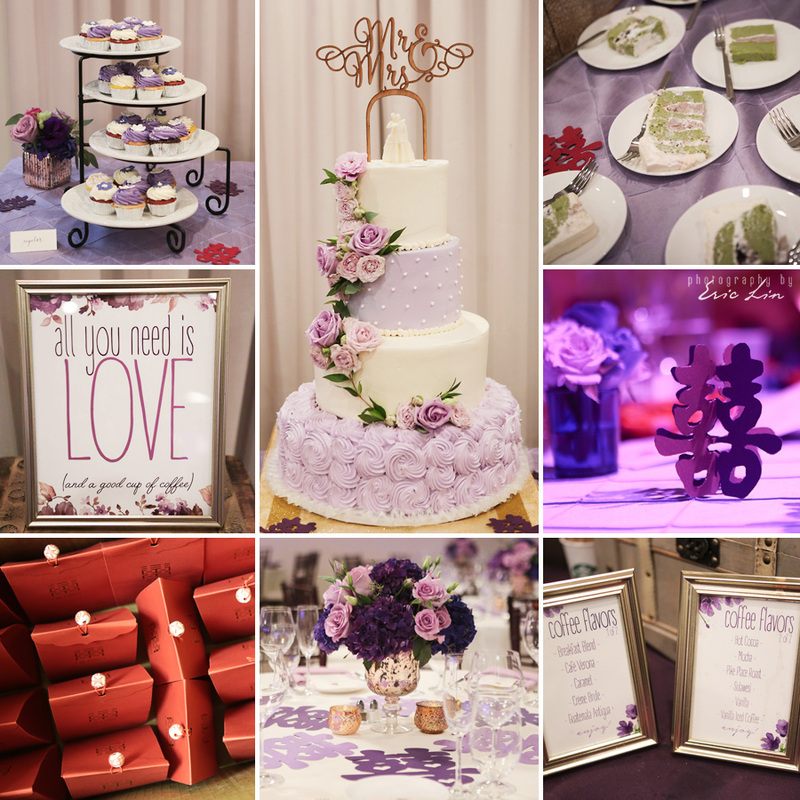 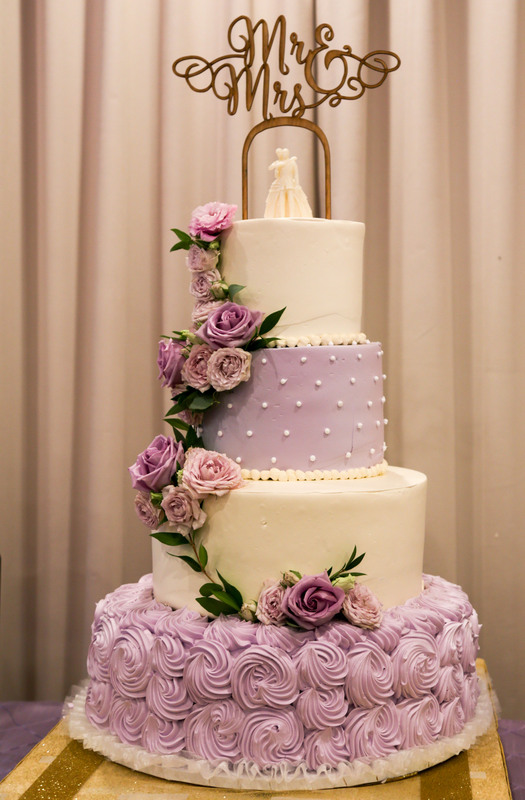 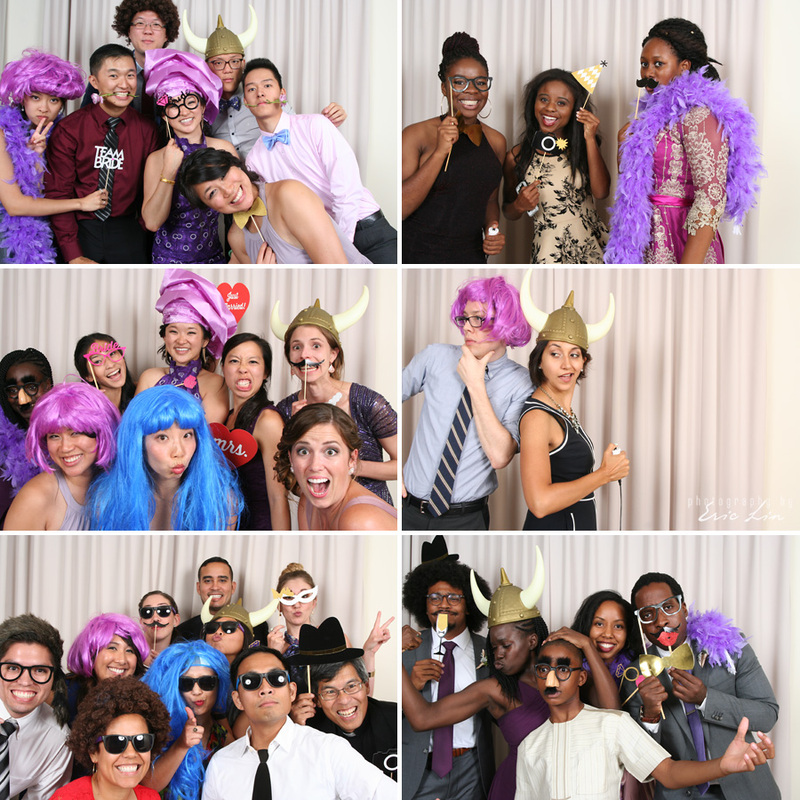 Both are strongly connected to thier community and wanted a wedding that would showcase their two cultures. 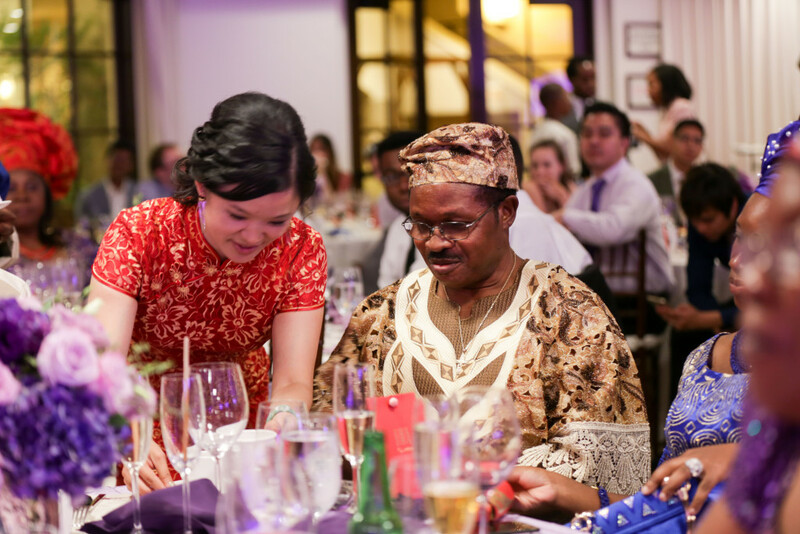 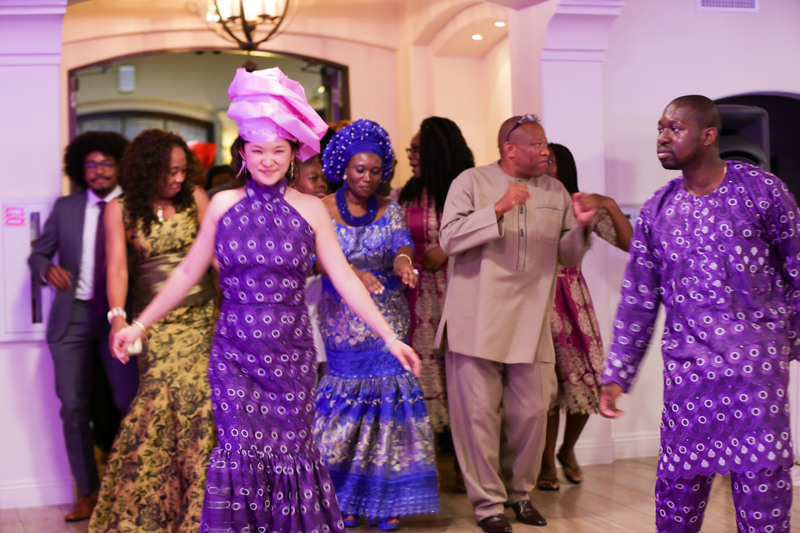 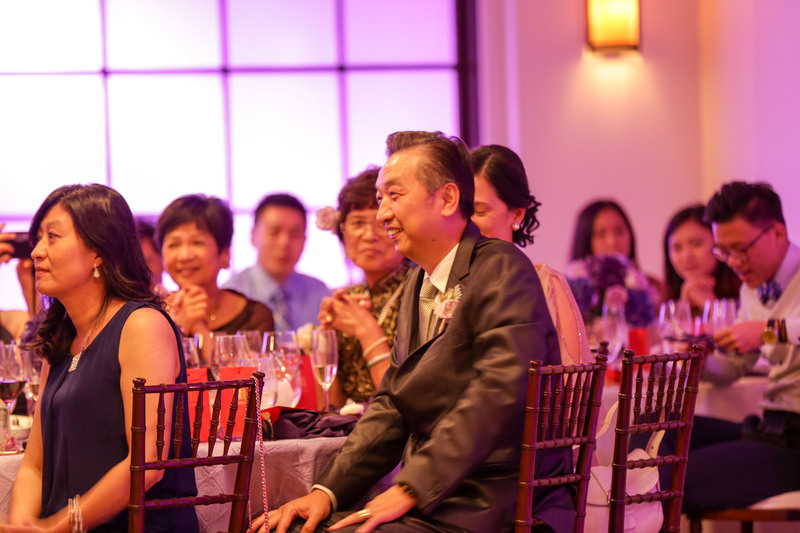 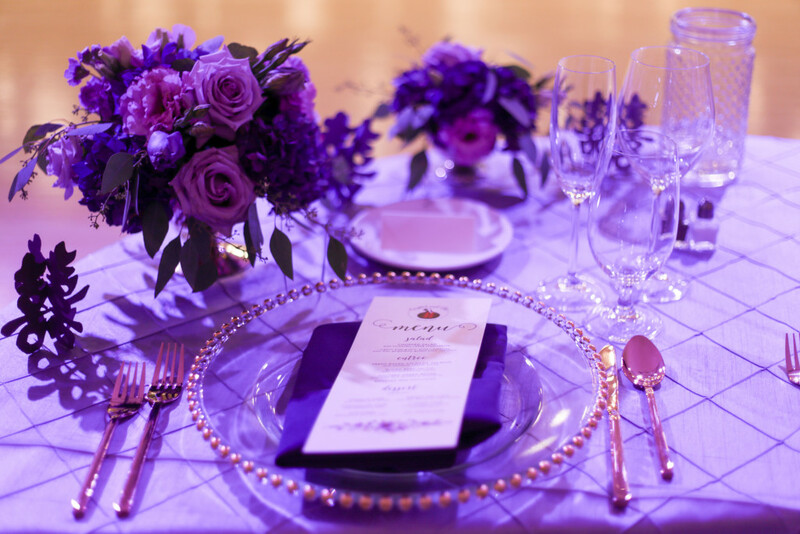 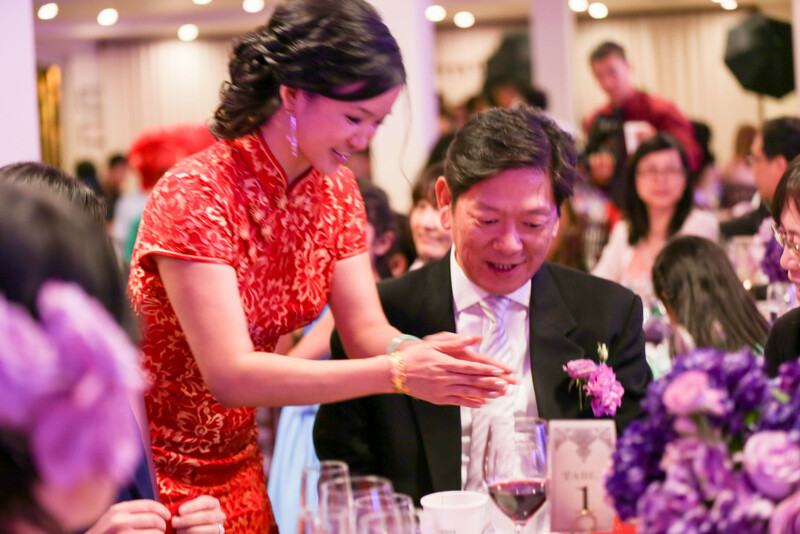 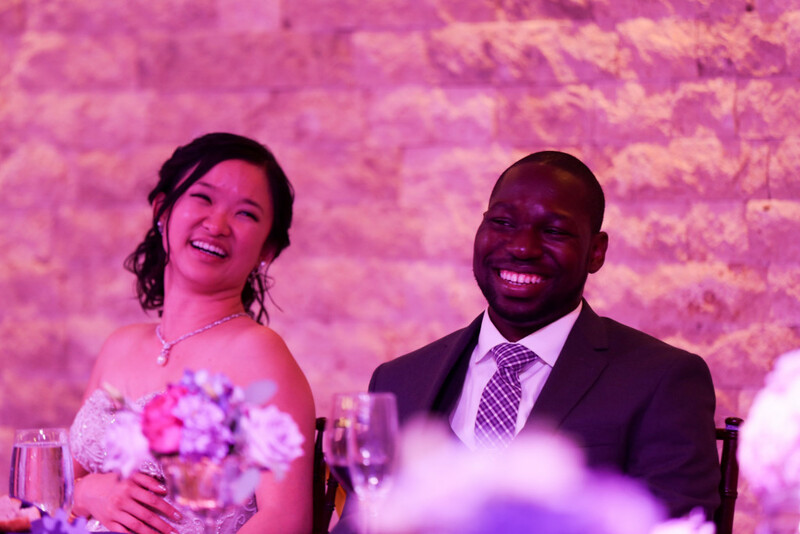 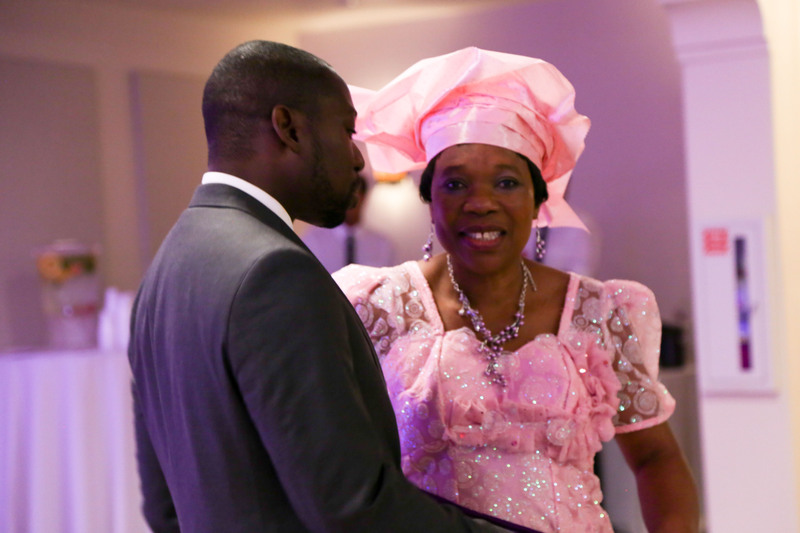 We worked hard with the couple to create an agenda for the day that would flow well for guests, and include special traditions from both the Nigerian and Chinese cultures. 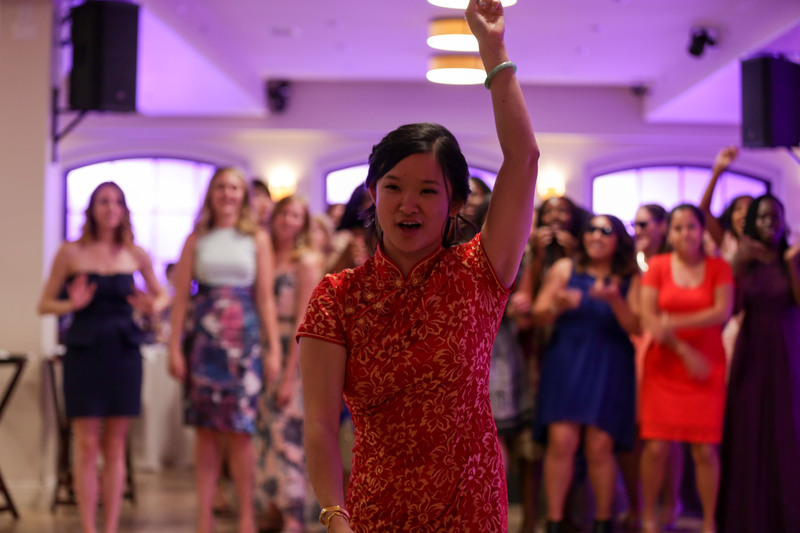 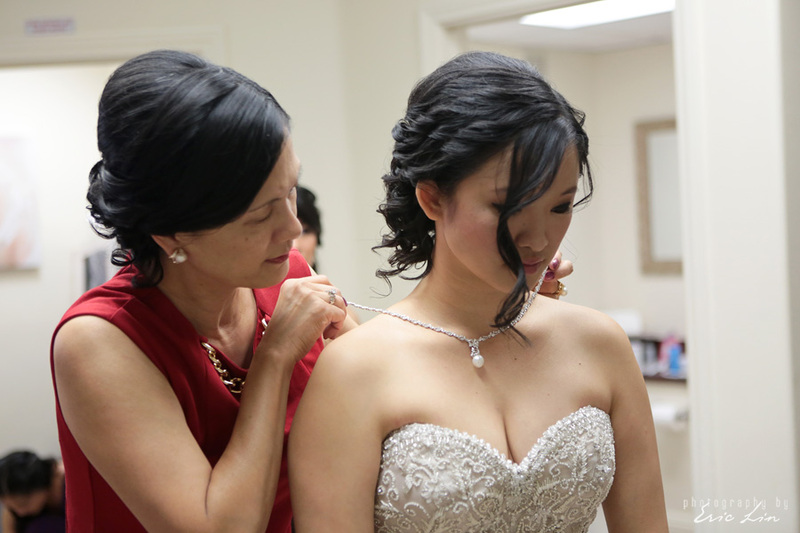 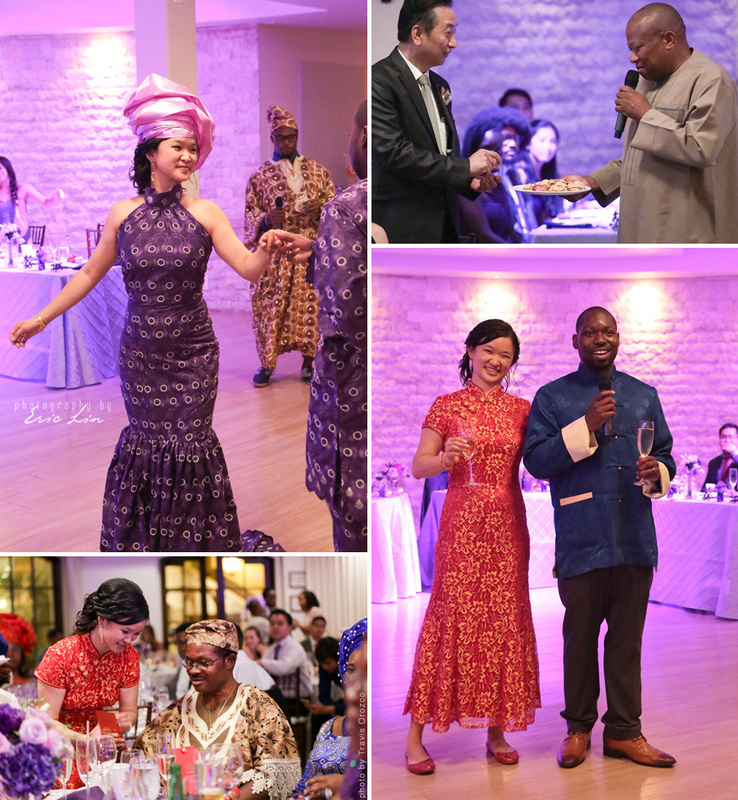 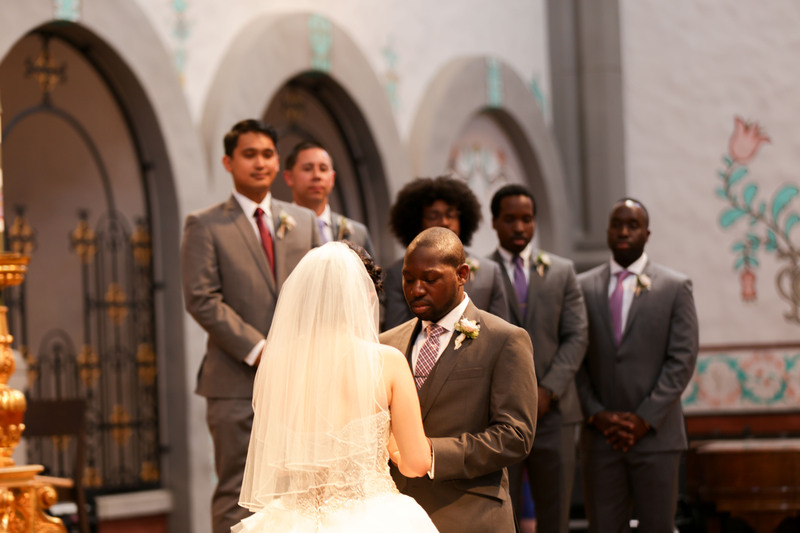 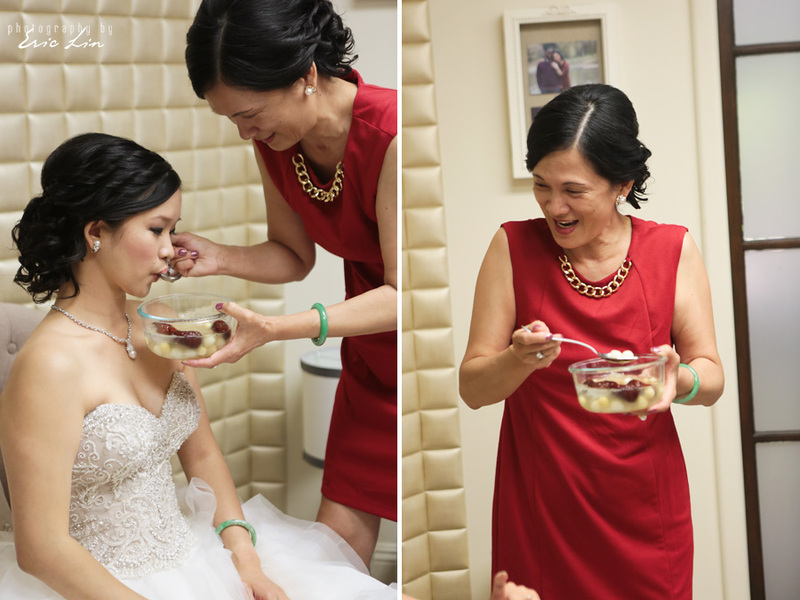 Although it was a jam-packed day, we were able to fit in some common American wedding traditions like the cake cutting and bouquet toss, a Chinese tea ceremony for both sets of parents, a Nigerian Kola Nut Blessing, and 3 dress changes! 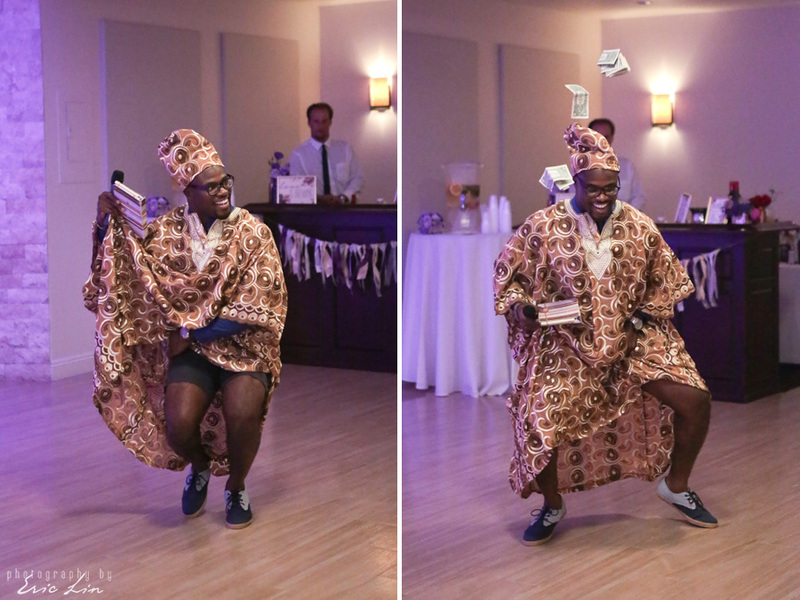 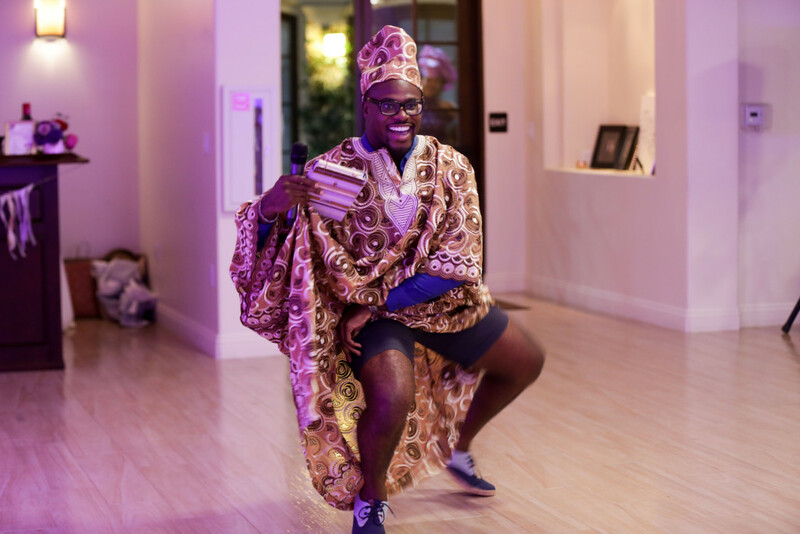 The night ended on a crazy fun note with a Nigerian Grand Entrance (and Money Dance) that got every single guest on their feet dancing. 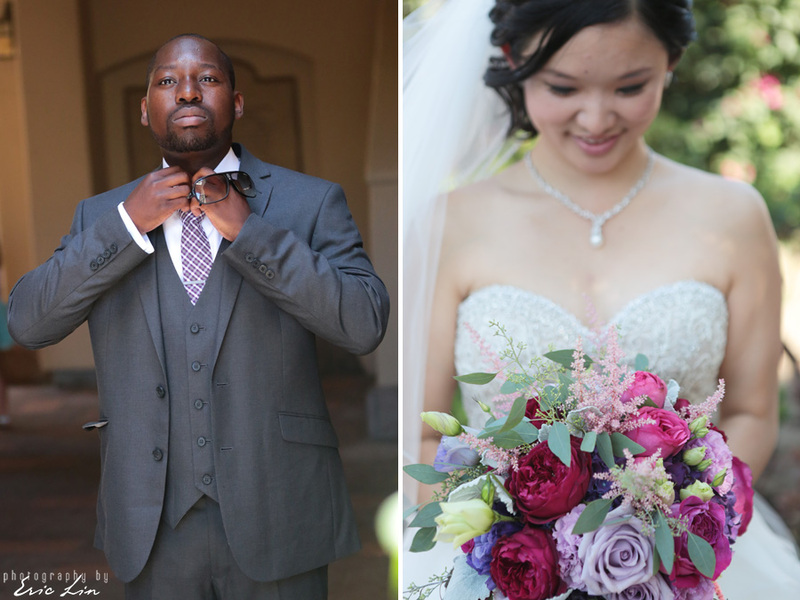 This was such a cool wedding to be a part of, and we were so happy to celebrate with this beautiful couple!